Few days back, I scrolled the official website of Chevrolet Neo 3 LT, but I was unable to find any relevant information about the price of this car. Finally after doing a lot of useless research work, I had to approach the dealership to get the exact quotes for the car. I think that the company should at least update the prices of its most sold utility car. Well, a day back I have booked Chevrolet Neo 3 LT. With the increase in excise duty, the prices of all the Tavera models are increased. I have test driven this car and I felt that the car is good in all the prospects. First of all the height, width and length of this car are good enough to cater you a soothing ride experience. Front and the second row of the car has got sufficient leg-room and headroom, however, the last row of this car is smaller and lacks comforts. I have checked the maintenance cost and schedule of this car and I think that it is par to maintenance cost of other MUVs like Xylo and Innova. 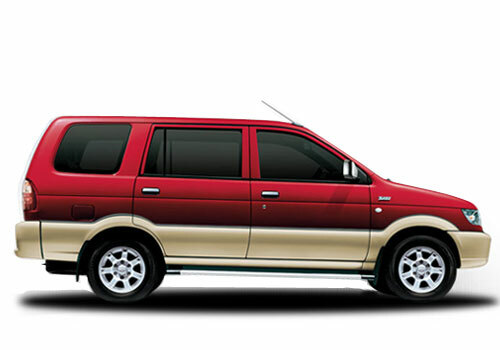 Compared to previous models of Tavera, the Neo 3 looks more pretty and more tough. The front looks much similar to SUV Safari and the rear is as same as the old Tavera model. But yes, you can see a big change in the side view, which is multi colored and has got better lining in the centre. The dealer said that it would take around 15 days to deliver the so I am eagerly waiting for that memorable moment when I would smash my Tavera on Punjabi streets.